Cultural Exchange between the students of the McDonogh School, Maryland, USA and the students of The Inka Yupanki School of Chincheros village in Cusco. 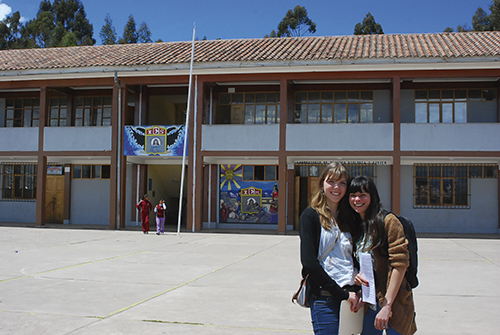 The McDonogh School located in Maryland, USA and a school, Tupac Yupanquin, located in Chinchero, Peru have something in common. Cultural Immersion places great value on education in the music and the arts so has implemented a special music program here similar to the one at the McDonogh schools in the United States. 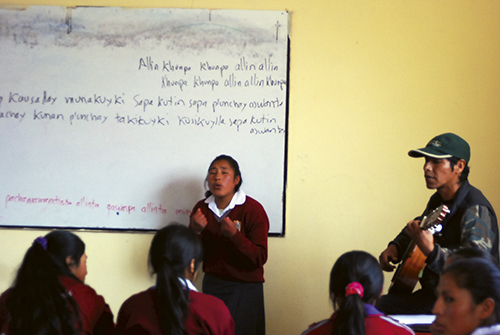 Cultural Immersion wants the children of Chinchero to have the same opportunities so has hired a professional music teacher to work with two other teachers from the school. They are giving singing lessons and teaching the kids how to play the musical instruments of the Andes including pan pipes(zampoña), flutes, guitar, and the charango. They are planning to sing with the students from the McDonogh school on June 16th. Two weeks ago, we had the honour to visit Tupac Yupapnquin School, and witnessed the musical talents of the children. Proudly they were showing us their performing skills. We were impressed and touched by the passion of these children. There are a many stories to tell about the children of this school in Chinchero. Michael, the only boy standing in the middle of all the girls, asked, “Are we going to get a harp or a guitar? I would love to learn to play these instruments.” He wants to become an accountant and loves to sing. Finally, Nayrud joined the group and told us that he loves to sing the typical music from the city of Ayachuco. His profession, not so common, is going to be a zoo technician. Currently the children of both schools are having rehearsals for the big day, June 16. They all feel very excited about this opportunity to show their talents to a greater public. 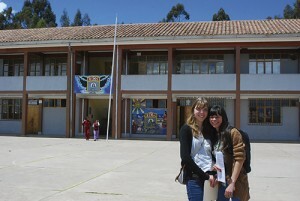 Of course, the children from Chinchero are eager to meet the children from the United States. Two different worlds will come together this day, a cultural exchange of talents. The event will be presented in the famous cathedral of Cusco at Plaza de Armas, a beautiful setting for the two choirs to perform! Hereby, please accept this invitation to participate in this event.